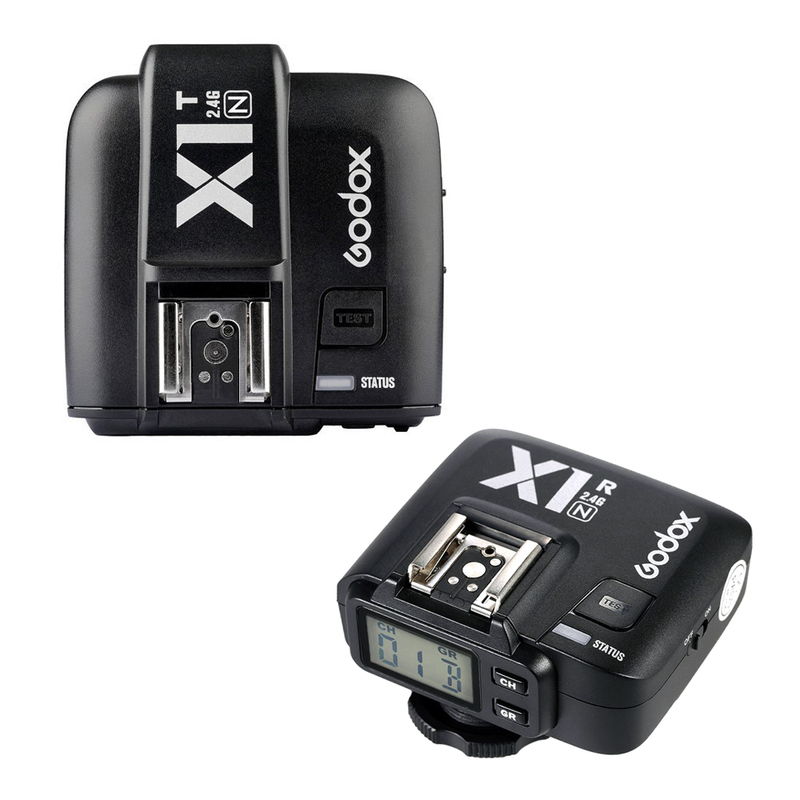 Godox first TTL wireless flash trigger X1T-N applies to Nikon DSLR cameras.Featuring multi-channel triggering, stable signal transmission, and sensitive reaction,?it can be used to trigger camera shutter, studio flash and camera flash.X1T-N is compatible with market-available cameras which support i-TTL. -With 2.4G wireless transmission system, X1T-N (for Nikon) can be used to trigger camera flash,?studio flash and camera shutter over 100 meters’distance. -Fully support TTL functions, support for i-TTL auto flash, manual flash,?1/8000 high-speed sync, flash exposure compensation, flash exposure lock, modeling flash, etc. -With wireless grouping system (max. 5 groups & 32 channels) to satisfy various shooting requirements. -Both transmitter and receiver equip with big LCD panel to offer convenient operation. -Other functions satisfy various requirements, such as Delay Set, Wireless Shutter Release, Zoom Setting, etc. -Transmitter use a PC port to input and output, receiver use a 2.5mm sync cable to output. -Use the Micro USB port to firmware upgrade.Settings will be stored 2 seconds after last operation and recover after a restart.